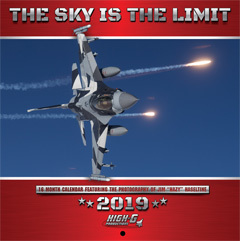 NAF El Centro is just about in the middle of nowhere, it is always hot, and there are no permanently stationed squadrons. 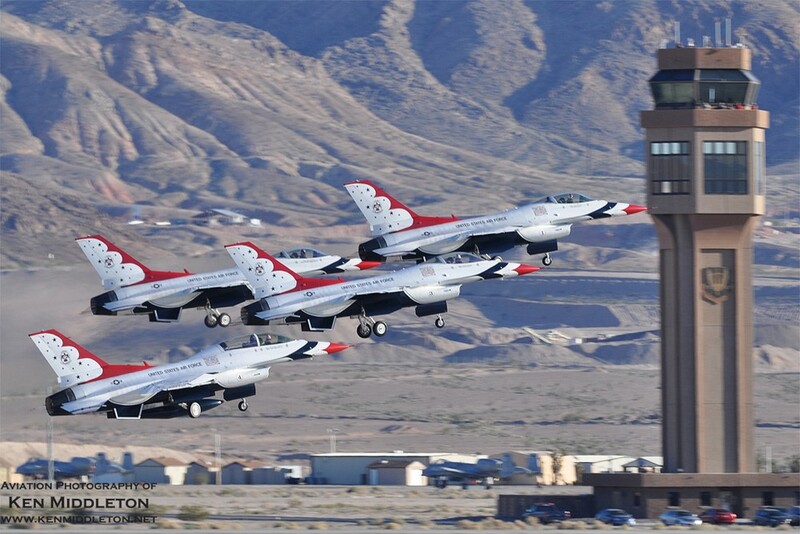 Having said all that, the El Centro drew a huge crowd and had top notch performances; not to mention the El Centro plays host to the Blue Angels’ season opener. 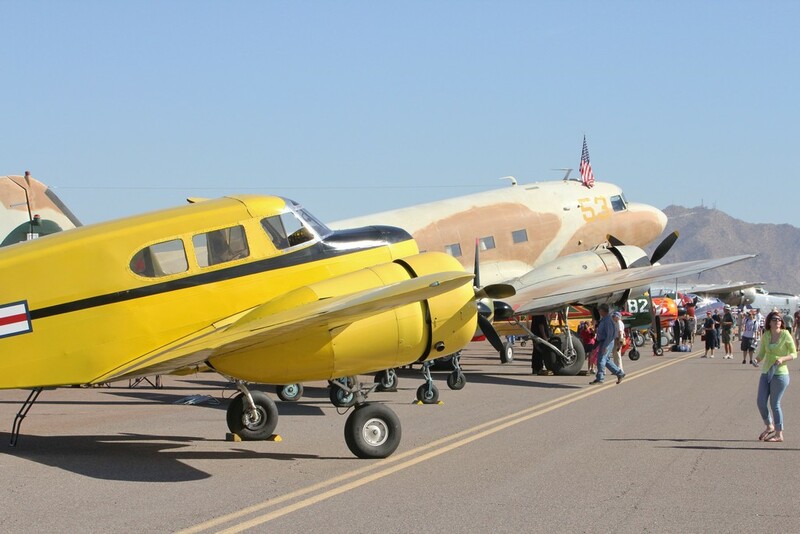 The aircraft on static display were interesting and varied; this is one of the few places I can think of where the static displays varied from a P-51 to a Super Hornet, a B-52 to a T-6 Texan II, or a Spitfire to a S35 Bonanza. Guests were welcomed up the rear ramps of a V-22 Osprey and CH-53 Sea Stallion to get a close look at some of the transports our soldiers are well acquainted with. 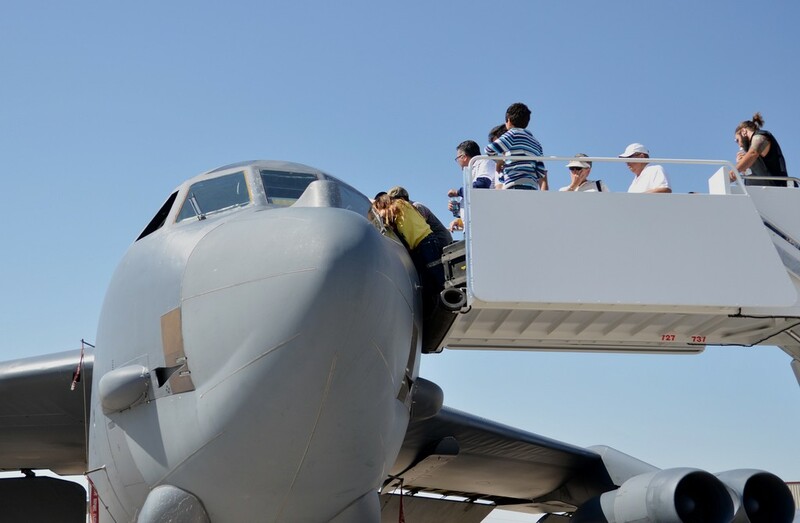 Airstairs were positioned next to the open B-52 cockpit window where guests could see the elusive eight throttle levers of a B-52 and more steam gages to monitor than a power plant. 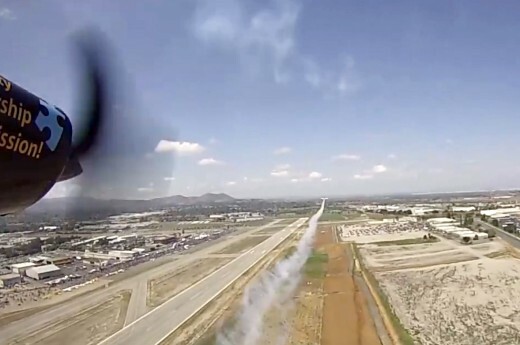 Next to the left wingtip of the B-52 the Metal Mulisha had setup two ramps 75 feet apart and were doing their own aerial display on dirt bikes. 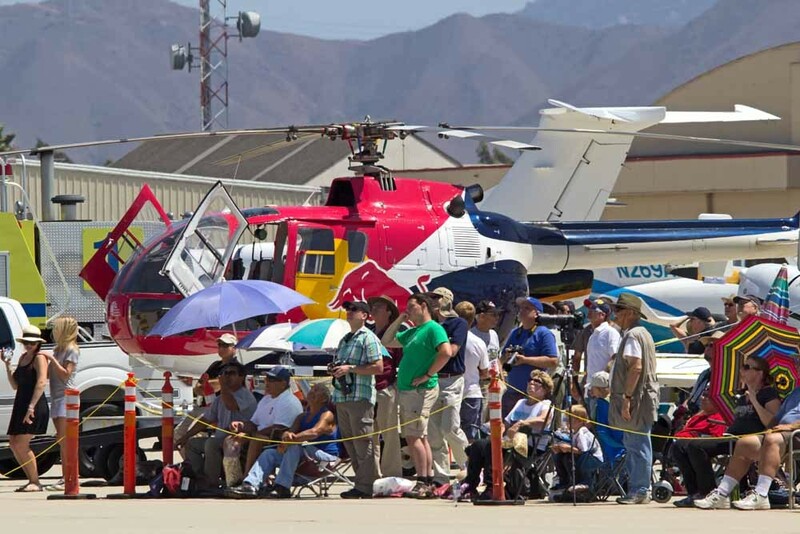 Walking to the crowd line at El Centro is a fair bit different, in that the crowd area is dirt rather than the standard concrete ramp. Not having the sun reflected back up at you as well as the slight cushion under your feet from dirt was a nice change of pace from the standard concrete. 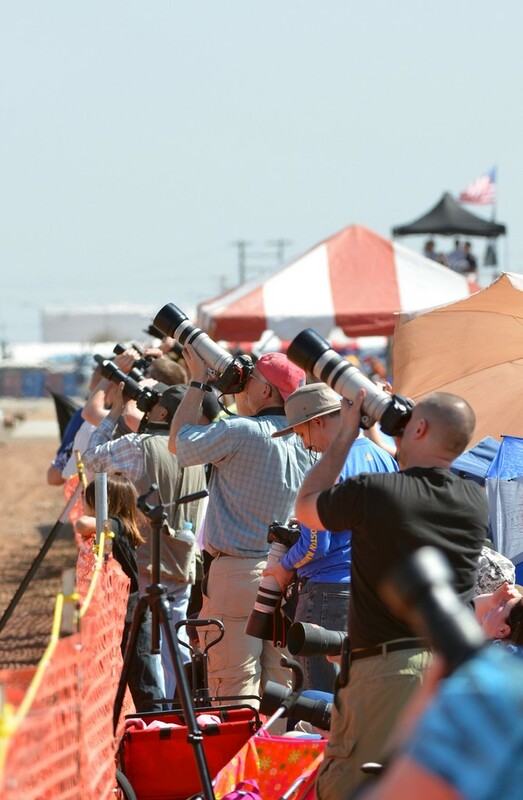 Even if dirt is, well, dirty; the whole area was packed with people eagerly watching the aerial performances. 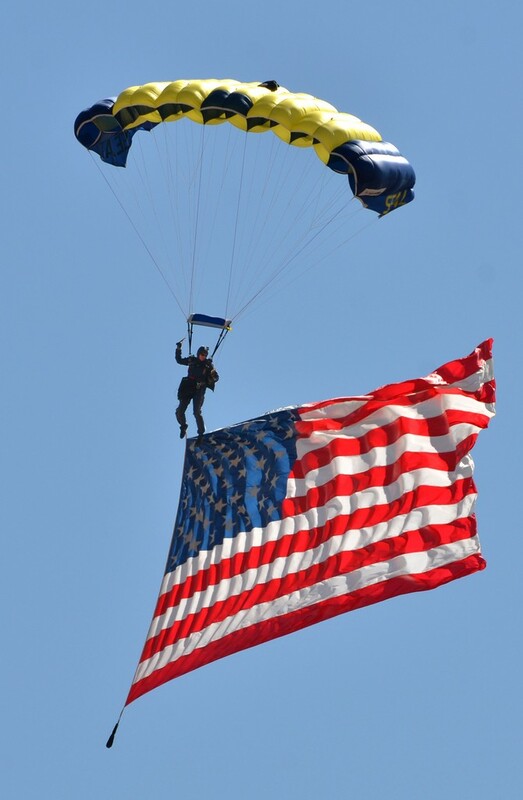 The airshow started with the Leapfrogs parachute team bringing the SEALs and American flag down from altitude while the Star Spangled Banner was sung. 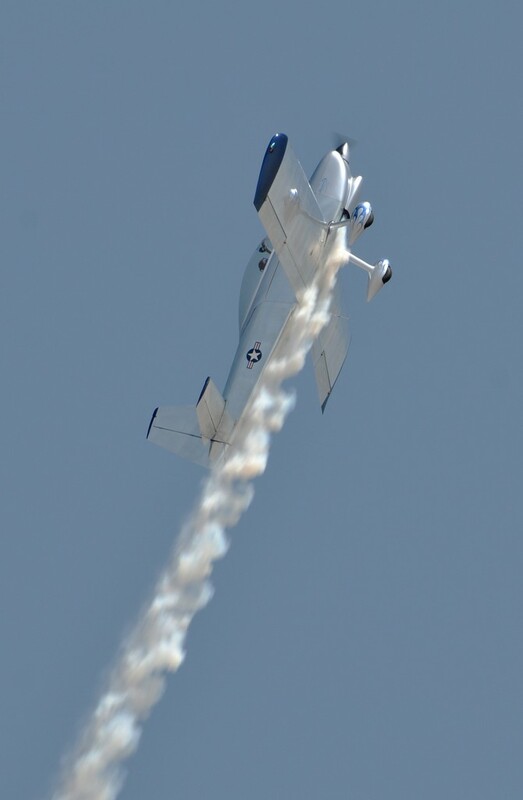 Shortly after the C-2 Greyhound jump plane had recovered, Bill Cornick took to the skies in his Pitts biplane putting on an amazing gravity defying acrobatic performance. 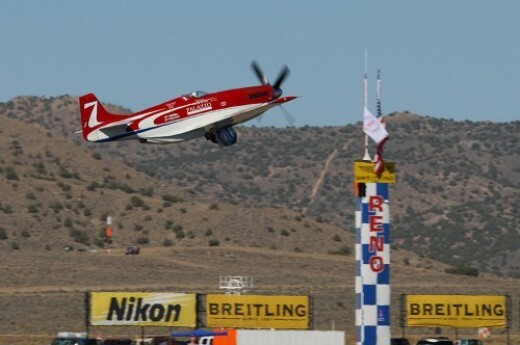 Spencer Suderman took off in his Meteor Pitts – so named because it shoots along like a meteor – and proceeded to put on an aerial display as well as a little harassment of the Rocketbilly Jet Truck who, after succumbing to aerial abuse and a number of coats of smoke oil, throttled up and ripped down the runway at 300 miles per hour. 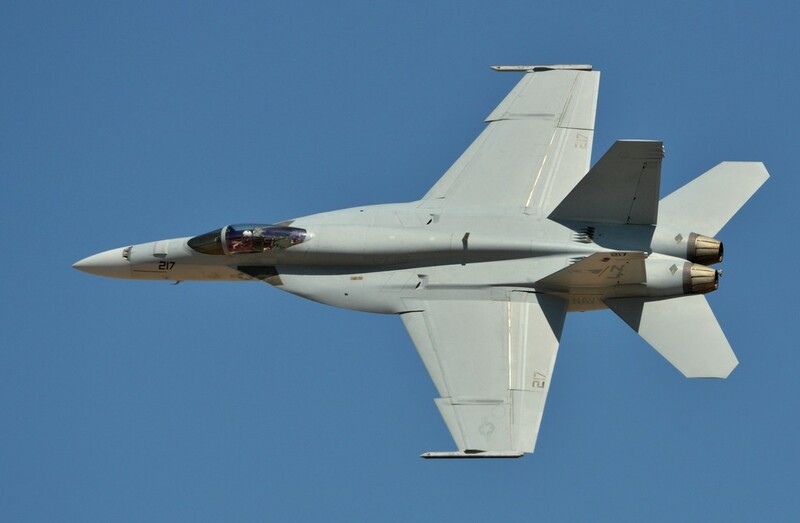 After the back and forth between Spencer Suderman and the Rocketbilly Jet Truck, a Super Hornet from VFA-122 took to the air wowing the crowd with the capabilities of the Navy’s latest active duty fighter. 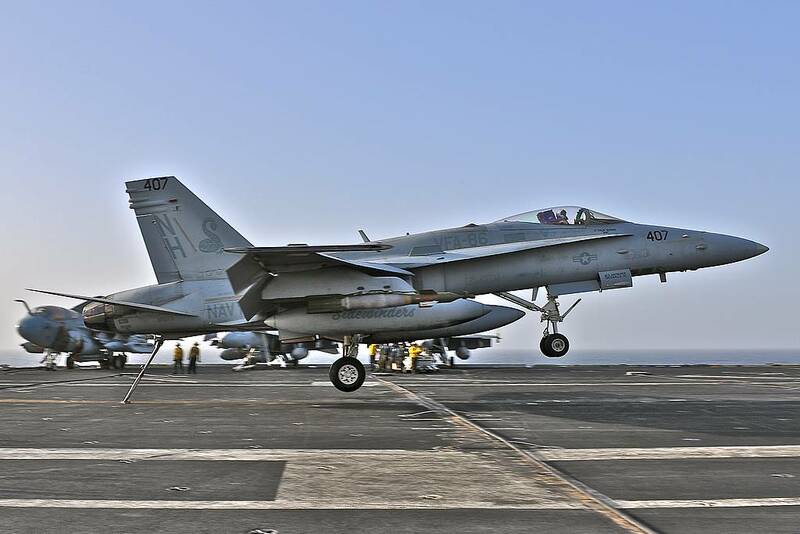 From the high speed pass, g-inducing maneuvers, and low speed capabilities of the aircraft, now is as good time as any to have the US Navy running interference. 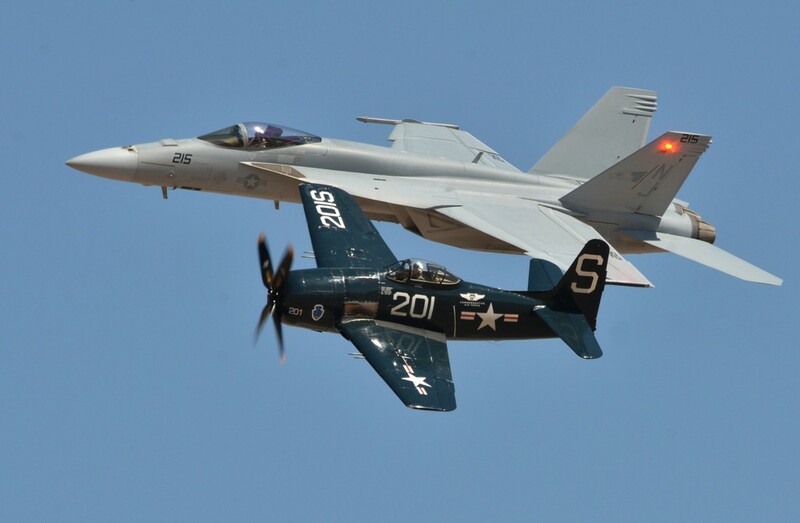 After the Super Hornet recovered, another launched along with a Bearcat for a heritage flight. The Bearcat being deployed in the mid 40’s and the Super Hornet in the late 90’s, the advances in just over 50 years is absolutely amazing. After the Super Hornet and Bearcat had landed, I noticed a guy walking out in front of the crowd wearing an orange flight suit and helmet. 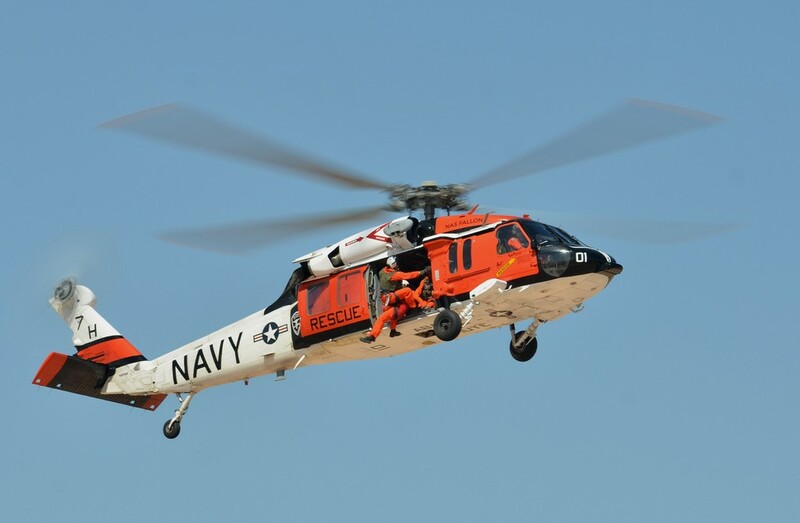 He could only be a victim; well, a mock victim for the NAS Fallon search and rescue demo. 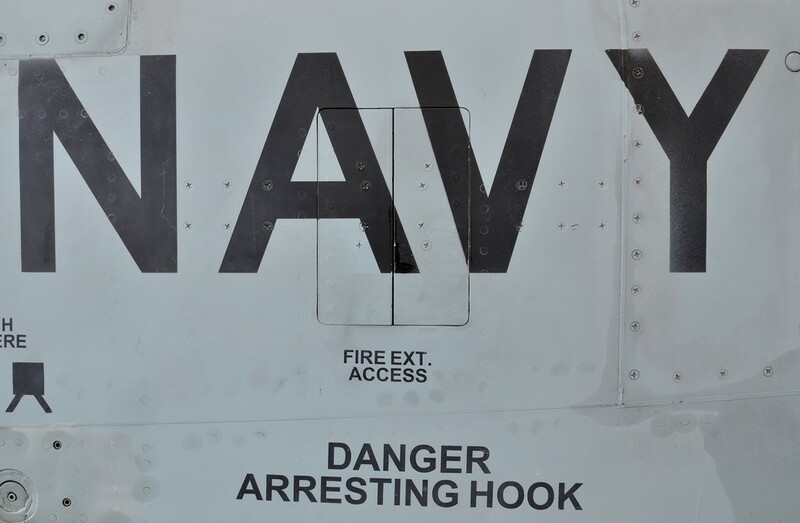 As I was putting the pieces together, the distinct sound of a MH-60 throttling up came across the field as the Longhorn crew came zipping across the deck to hoist their crewmate – confirming my suspicions. 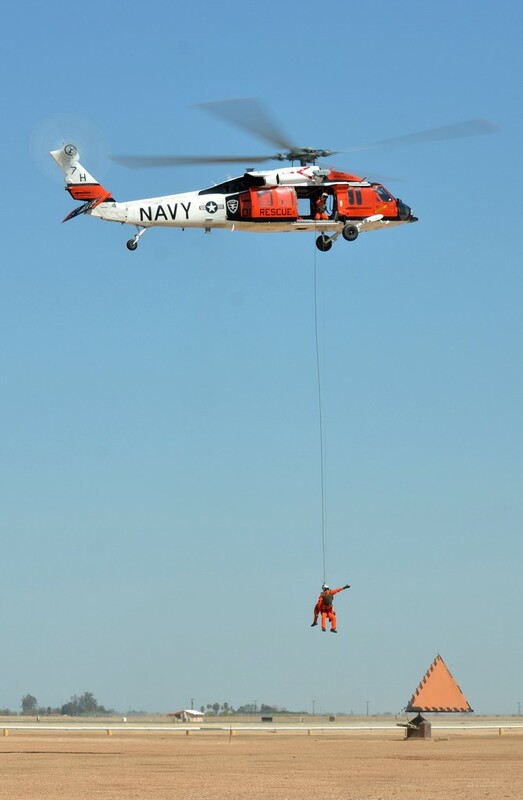 It is always amazing to see how well the UH-60 series helicopters perform at low heights above the ground, easily managing high speeds and steep banks. 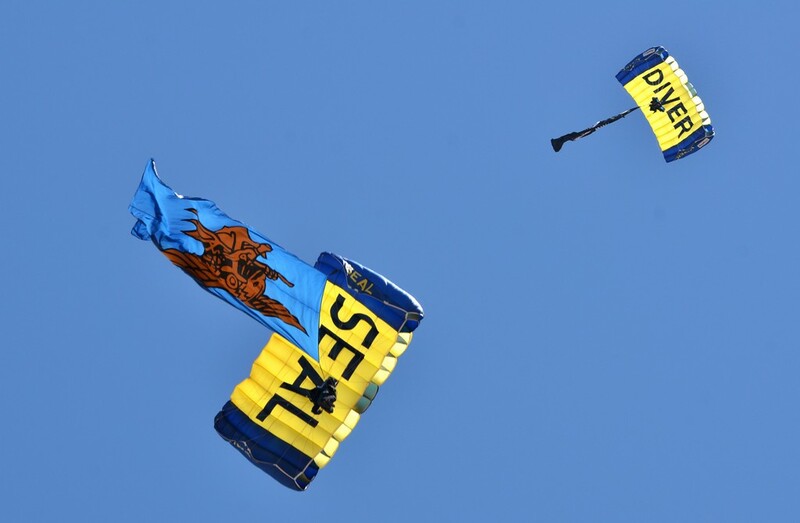 After the NAS Fallon SAR demo, the Leapfrogs again took to the air again putting on a parachuting spectacle; some of the Leapfrogs performing today were the actual actors in the movie Act of Valor. 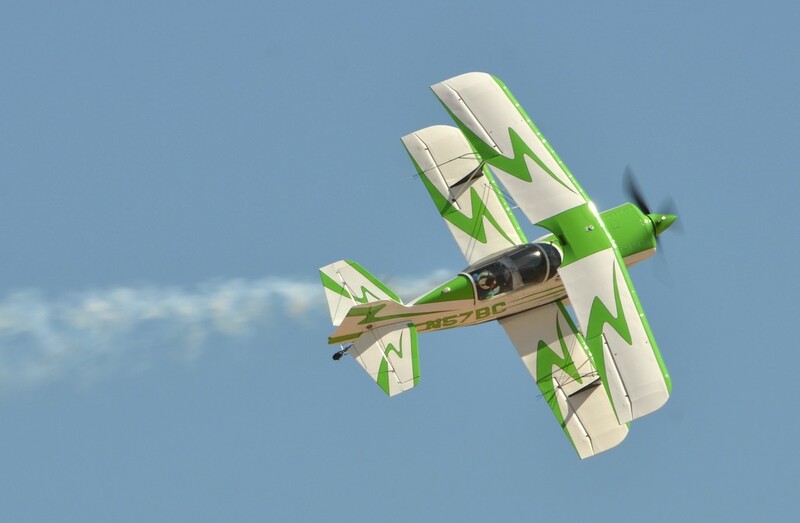 After the last Leapfrog had landed, Bill Cornick and Spencer Suderman took to the air for an acrobatic race. Acrobatic racing is a relatively new craze, there is a set of ten standard acrobatic maneuvers – whoever finishes first wins. 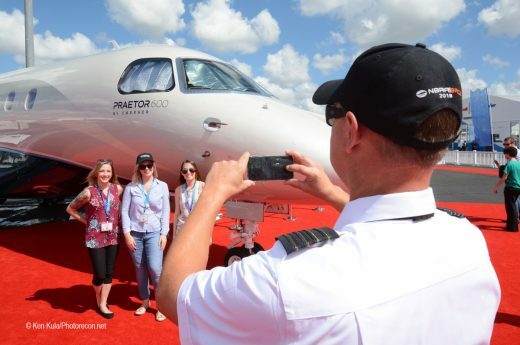 Surprisingly enough, there is a fair bit of strategy involved; energy management is paramount so finishing one maneuver in a longer time than your competitor isn’t exactly bad, you could have more energy going into the next and come out ahead. 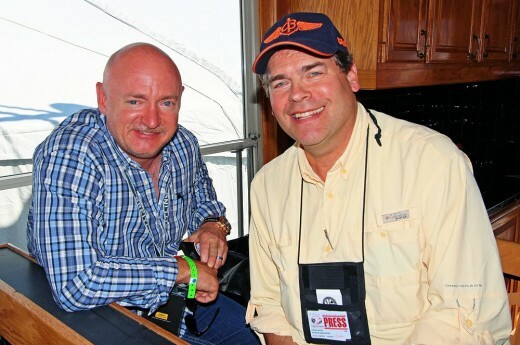 The lead in the race must have changed at least 6 times based on how the two pilots managed their energy sometimes by as much as half a maneuver – both pilots were in nearly identical Pitts biplanes. 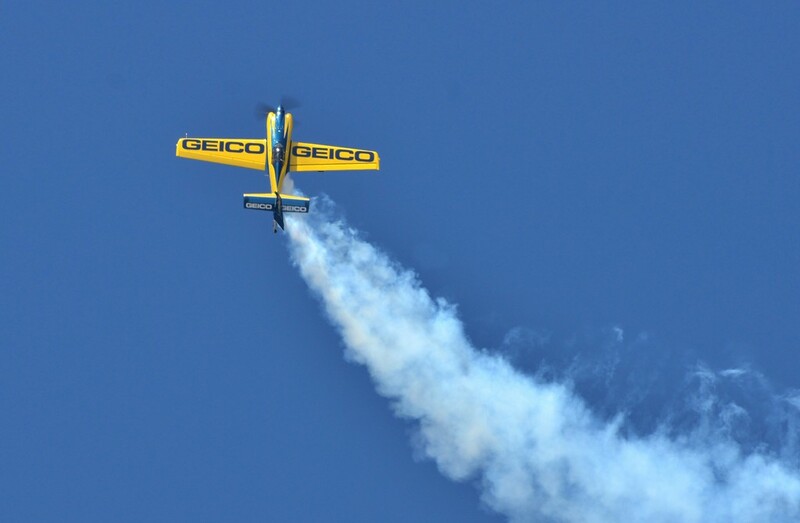 After the race concluded, the high energy and dynamic performance continued – Tim Weber took off in the Geico-sponsored MXS, a very modern all carbon fiber acrobatic monoplane. The MXS is reported to have a max load factor of 16g’s, only 10g’s being pulled on a routine basis – at only 10; I’d feel like 1900 pounds for an instant. With full span ailerons, the roll rate is one and a half revolutions per second, which should be enough to centrifuge all the blood to your head after it is drained out in a wild high-g pitch up. 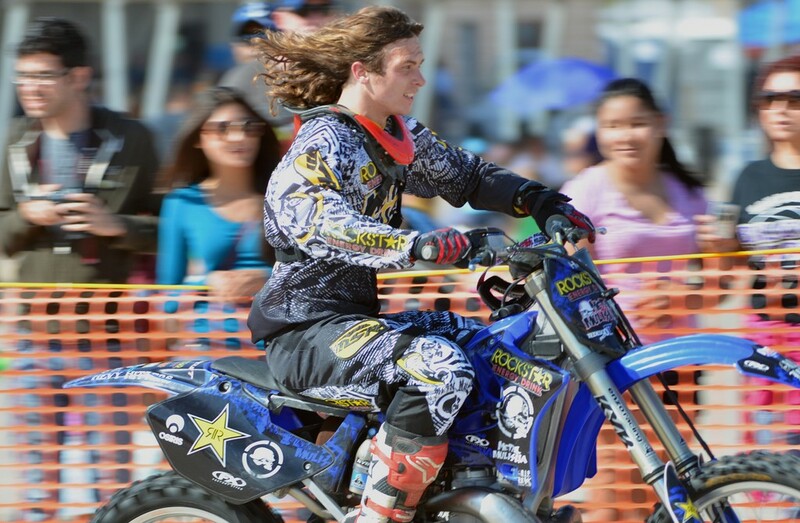 With the dizzying MXS performance, it was time to bring the wild maneuvers back down to reality, slowly. Torrey Ward in his Glassair took to the skies with a performance not pushing the absolute limit as much as the MXS, but still very impressive compared to most airplanes in the world. 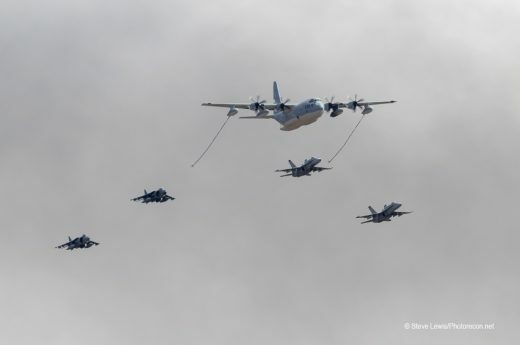 Once again increasing the separation from absolute performance, it was time for the pre-Blue Angels C-130 demonstration. Normally Fat Albert does the honors, but not this time… Fat Albert, with the strenuous mileage each year, is undergoing maintenance so Ernie did the honors. 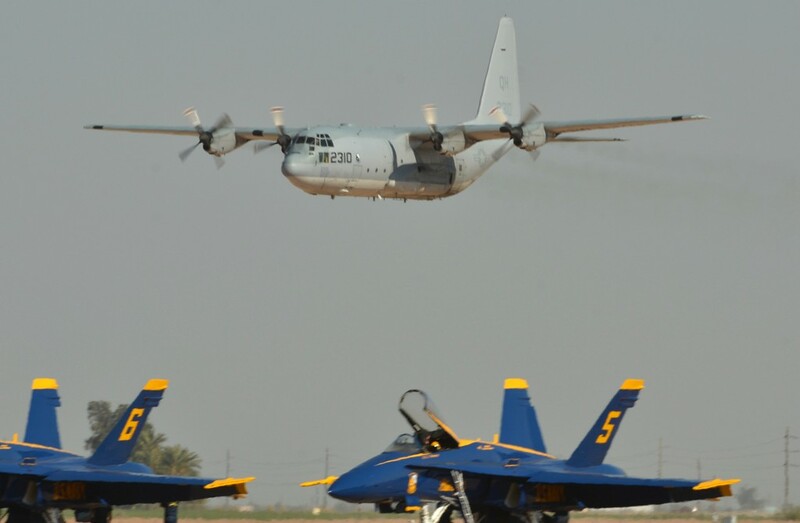 Ernie, like Fat Albert, is a legacy C-130 on loan while ‘Bert undergoes a little work. Ernie performed the same routine Fat Albert does, showing there is no modification which makes Fat Albert any more capable than any other C-130 supporting the war fighter – a real testament to this aged cargo plane’s performance; although, Fat Albert does have that snappy paint job to distinguish it from other C-130’s. 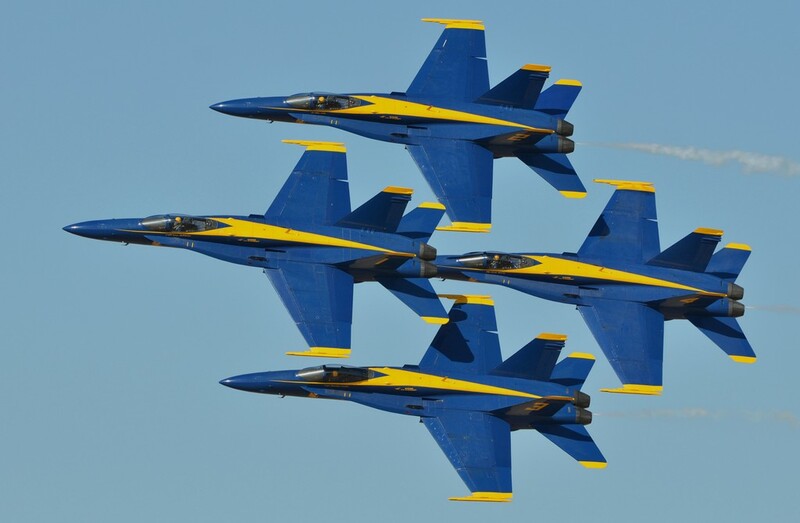 Now for the moment everyone had been waiting for, the 2012 season opener for the Blue Angles. Per standard practice, the precision by which the pilots walked out, the preflight checks were completed, and engines started was impeccable. There was no unnecessary gesture, everyone was orderly, and everything was done with the utmost speed without sloppiness or mistake. To say the preflight routine was perfect would be an understatement; an indicator of the care and pride our Sailors put into their job. 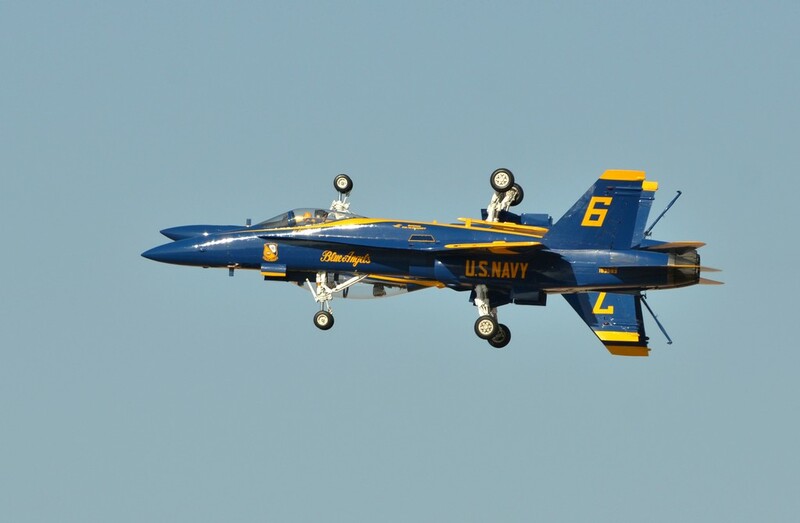 Everything went off without a hitch until Blue Angle 5 told the Boss there was a problem and was quickly shuttled off to Blue Angel 7 on the other side of the ramp as the other five taxied out. Boss called for a last minute wind check before having the guys push the throttles forward bring the four-ship formation into the air. 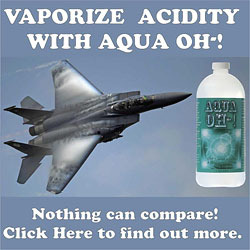 They make it all look effortless. 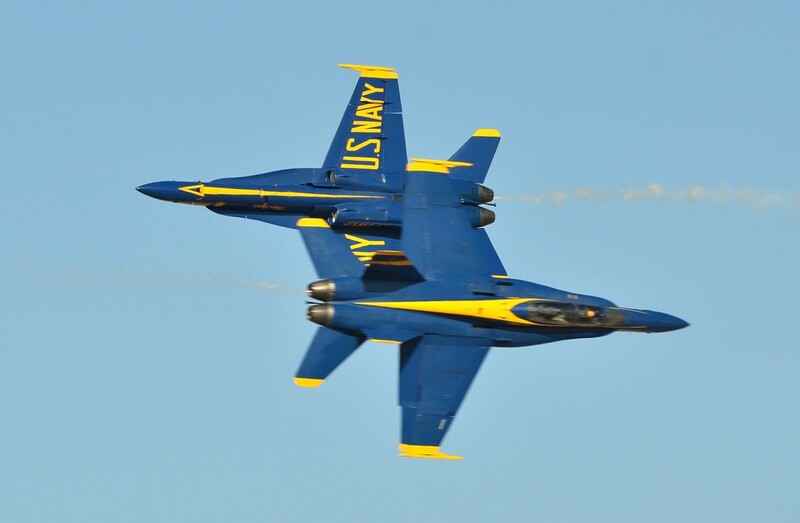 Blue Angel 7 (or was it 5?) booked it down the taxiway to line up and wait along with the other solo Blue Angel. Shortly after the diamond passed overhead, 6 and 7 each took to the air. 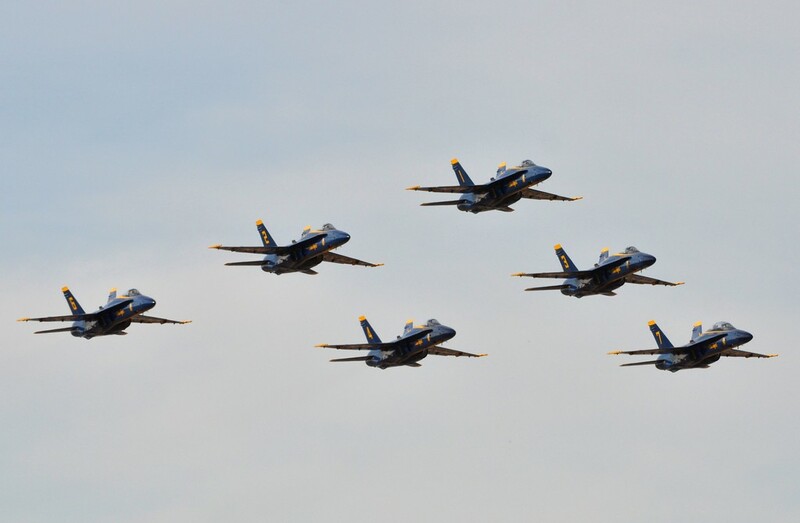 As with all other Blue Angel performances I’ve seen, the four-ship diamond performs what appear to be the laziest of maneuvers – except the separation with which they fly makes every lazy maneuver all but impossible to everyone but the most skilled pilots. 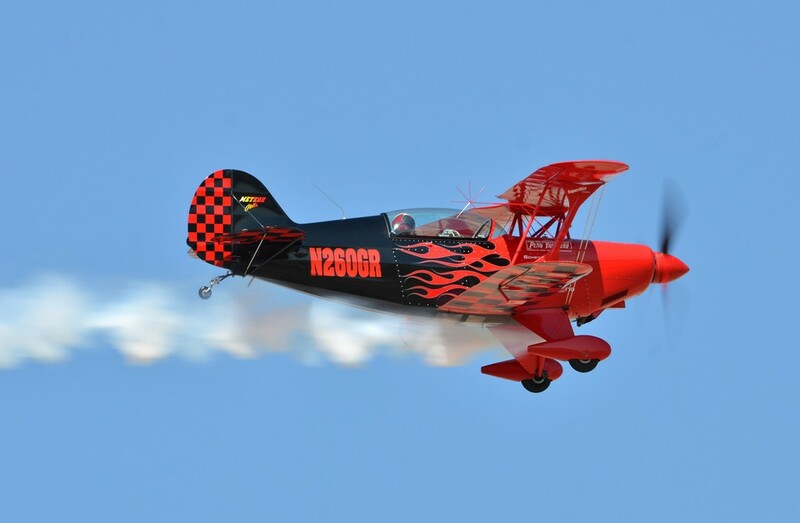 The two solo pilots put on their individual performances, each equally impressive in their own right – including two sneak passes, no doubt a crowd favorite. Finally all six formed up in the delta formation to show while each person has a specific job to do, at the end of the day we’re all on the same team. Sure El Centro is in the middle of nowhere, hot, and dirty but I know I’ll be going back next year. 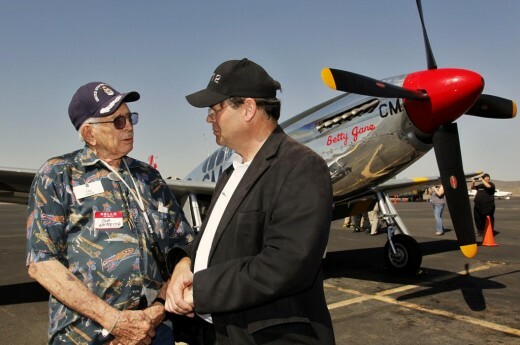 Thanks are due to all the men and women who put in thousands of hours to make El Centro 2012 a success.